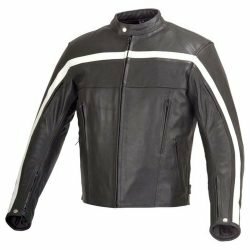 These jackets are made out of premium 1.1-1.2 mm distinctively milled heavy duty Cowhide or Buffalo Leather for maximum abrasion resistance. 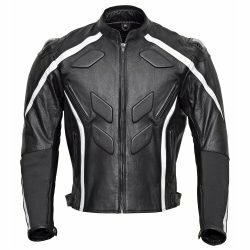 The superior quality leather not only keeps the jacket from tearing but also protects your skin against the road burns and debris lodging in case of a misadventure on road. 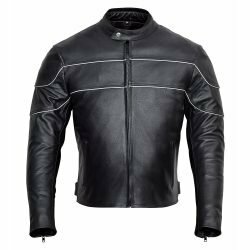 These jackets come pre-installed with five pieces of CE Rated Armor, two elbows, two shoulders and a back-spine protector that conform to EN 1621-1 standards, all of which are crucial to the rider’s safety. 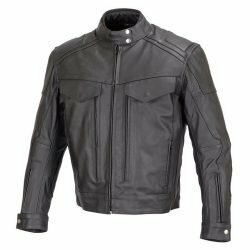 Meant for long distance traveling, this superior quality leather jacket gives you the best of both worlds as it is both soft and durable. Being dust and water resistant contributes to the durability of these jackets. Coins, Cigarettes, Lighters, Keys, Credit Cards, cell phone, media, tidbits… and what else do you not carry in your jacket pockets while riding ? Replete with two waist level zippered hand pockets, one napoleon zippered pocket and one snap pocket on the inside and an additional Velcro pocket on the removable thermal liner, make these jackets an absolute outfit to carry most of your stuff. 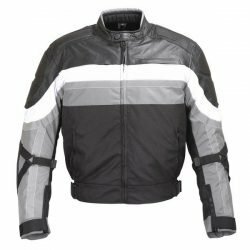 These all-weather highly adaptable jackets protect you against severe winters, intense summer heat, incessant rains and snow. The quilted full-sleeves removable zip-out thermal liner keeps you warm during winter rides. Two horizontal chest intake vents and two back vertical exhaust vents facilitate ample air flow to keep you fresh and sweat-free amidst summers. 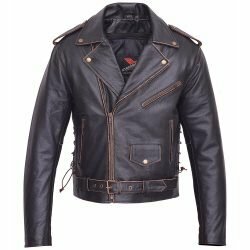 And of course, you don’t have to worry about getting wet in rains as these leather jackets are intrinsically water-resistant. 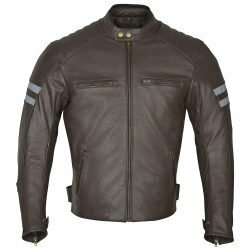 All our leather jackets are manufactured in-house and come with 2-year warranty on workmanship and leather quality. 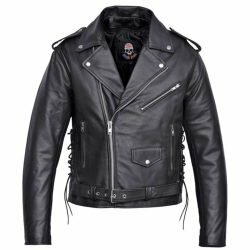 What could be cooler looking than vrooming along in a snazzy motorcycle jacket? 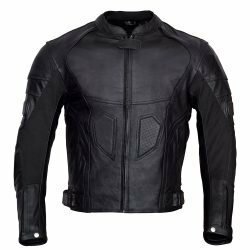 Go shopping for some top-shelf Mens Leather Motorcycle Jackets online for your arsenal from Wicked Stock and vroom on full throttle! !